These past few weeks, I have been grappling with a kind of spiritual awareness which continues to unearth and challenge the way I perceive life. I find myself reflecting on the way I think and feel, and also upon the actions I do or don’t do. In wanting to explore this new era of enlightenment, I took Eckhart Tolle’s book, The Power of Now off my shelf. Its content is unwaveringly dense, often leaving me exhausted by concepts too thick to conquer. Though the pages have barely been touched, the title, “The Power of Now” remains ever present to me: challenging me, questioning me, and inspiring me. Life lived NOW means being present to the opportunity of this moment in time. This moment is the opportunity to experience exactly what is happening, and not what I/we should or could be doing…nor the eight tasks work expects done simultaneously and seamlessly. On the other hand, the familiar sentiment, life lived “Someday, One Day” clouds being present to the gifts of now. A “Someday, One Day” attitude often creates log jams and stagnation in our physical, emotional, and spiritual space. 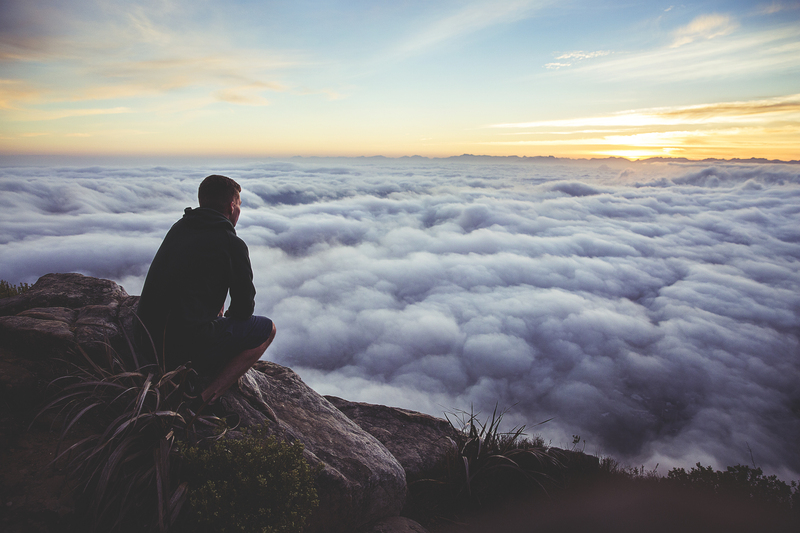 Procrastination goes hand-in-hand with life lived from a “Someday, One Day” perspective. Being present to NOW fosters gratitude, calmness, peace and stillness…much like the breath we are asked to be present to in our meditation or yoga practices. And in this state of NOW, life flows. Action is second-nature; it is real, purposeful, and natural. It is not sabotaged by “Someday, One Day’s” indecisions, doubts and postponements. Lightness, awakenings, and insights are encouraged by the presence of “NOW” thinking. Fear of change, the unknown, or something different, keeps the “Someday, One Day” card in our hip pocket ready to be played when life feels uncomfortable. Eckhardt Tolle said, “Some changes look negative on the surface but you will soon realize that space is being created in our life for something new to emerge.” I see this played out time and time again in my own life and in the lives of my clients. Taking on “Someday, One Day’s” mantra of “later, later, later” and actually getting started now creates oceans of energy. Physical spaces are transformed uncorking the damned up to-do’s, intentions, goals and aspirations allowing life’s energies to flow again. Frequently, at the end of a session, clients feel lighter, freed up and elated as the stagnate piles and clutter dissolve into organizational bliss. Bringing order to chaos and freedom and ease to life is what Professional Organizers love to do. Call an organizer when you need a gentle nudge, a kick start, a fresh set of eyes or a partner to drive away the “Someday, One Day” blues. Cause a life you love, lived joyously in the presence of NOW — moment by moment. 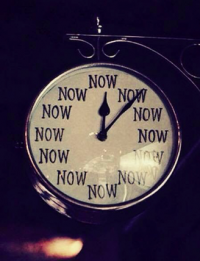 Embrace The Power of NOW! “Was this a phone call I received from a potential client?” you may ask. No. This is what I said two weeks ago when I felt like I was drowning in paperwork, and my life was a mess. “But wait,” you exclaim. “You’re a Professional Organizer. You know how to organize stuff. Why can’t you just organize your office?” The answer is that even we, who are experienced and proficient organizing other people’s things, sometimes cannot do it for ourselves. Every morning I would walk into my office with incredible determination. “This will be the day that I finally and completely organize my office and my life!” But when I walked into my office, something happened. I looked at the piles of paper and the disorganization, and I became paralyzed with dread. It doesn’t matter whether the area that is disorganized is an office, a kitchen, a bedroom or a play room. Sometimes it just feels as though as much as you really, really want to get organized, you’re just having a hard time doing it. So I asked myself what I would tell a prospective client if they called me with a similar situation. Just because your (insert name of area here) is disorganized, it doesn’t mean that your entire life is a mess. Remember, you can gain control over the disorganized area. Set aside a time that you want to do some organizing. 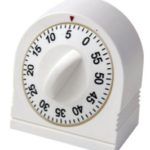 Find a timer (a kitchen timer or one on your cell phone works well). Set the timer for five minutes. 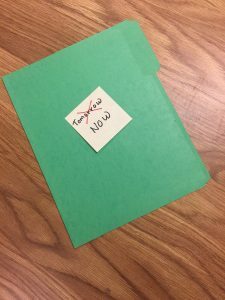 Yes, I realize that’s not a whole lot of time and that you won’t get a whole lot of organizing done, but it is a manageable period of time to start the process. Choose a very small section to work in. Remember, you only have five minutes. Get rid of the easy stuff first. You know, the stuff that is out of date, moldy, torn, or the thing you just never really liked anyway. Take these items and either recycle or trash them. By now the timer has probably gone off. If you are on a roll and you don’t mind going further, set the timer for another five minutes. This may seem like an arbitrary amount of time, and it is, but I have found that five minutes of doing almost anything seems easy. But what do you do if you can’t get yourself to commit to tackling that cluttered area for even five minutes? Take a tip from a professional who has been-there-done-that. Either call a friend who is nonjudgmental and willing to help or call a professional; which is what I did. I figured that if I call a doctor when I’m sick and go to the dentist when I have a toothache, I should call a professional organizer when it feels like my (insert name of area here) needs organizing. What about you? Take just 5 minutes and call for help. Now? Yes! If not now, when?